I recently had the opportunity to try out Winc Wine for the first time and was very impressed with the whole experience. You start by taking a Palate Profile quiz to find the perfect wine for you, then you register for an account. Within a matter of minutes, you will be presented with recommended wines based on your Palate Profile quiz results, and a price you will not believe (bottles start at $13 each and go up to $46). I got all this wine for only $70! Wow! And, with the holidays fast approaching I have family and friends on my shopping list that enjoy a good bottle of wine, and would love to be surprised with 4 bottles of wine at their door to enjoy at the holidays and as they welcome in 2019. 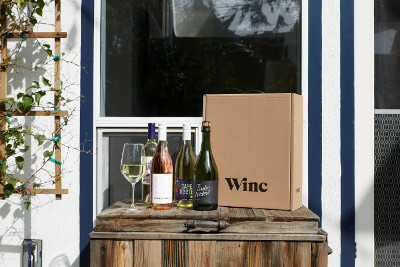 All you have to do is send them a Winc Gift Card which you can purchase through the Winc website, and then leave it to them to take the quiz and place their order using their Winc Gift card. It will be one gift card they will be excited to use, and be thanking you for for years to come. 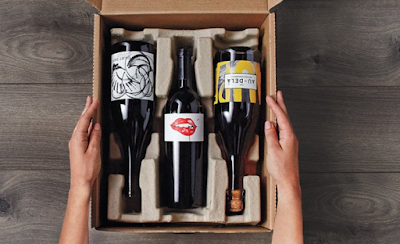 "Winc is a modern wine brand that makes it easy to find wines you love. Take Winc's 6 Question Palate Profile Quiz where you're matched with wines tailored to your tastes and preferences. 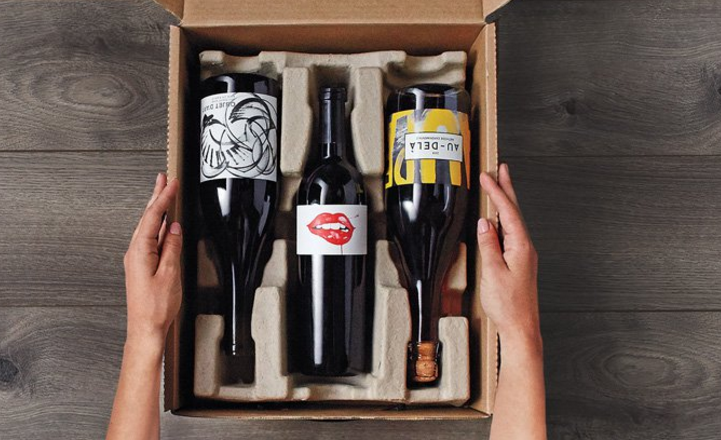 They'll send you four great bottles a month, delivered straight to your door. Explore different varietals and rate your favorites. The more you rate, the better your recommendations. Join the thousands of Winc members already enjoying great tasting wine. " Like I said, I was sent 6 bottles of wine (only costing $70), all from different vineyards, and had a blast sampling them with my husband. It was amazing how we enjoyed each and every bottle, which is never the case when I am left to pick up a few bottles of wine at the store. And, when I told my husband about this monthly mail delivery service, he couldn't get over the price. He was quick to ask if we knew what I was getting with our next shipment, and if we could reorder a couple of the bottles we sampled in this month's shipment. I told him that you can reorder bottles, choose bottles that catch your eye, or use their recommended bottles based on your quiz results. Our favorite of the wines sent was the Eplevin, Hopped Cider from Sonoma, California. The bottle retails for only $16, and is full of flavor. While this would make for a great summer/fall drink when apple picking is in full swing, I love drinking cider drinks and spirits during the cold winter months, especially with holiday meals, as it pairs well with ham and turkey. This particular cider (aka apple wine) is made up of 8 varietals of apples and cascade hops, before it was fermented in a tank, then went through a second fermentation process before bottling. With every mouthful of this cider, you can taste notes of citrus, grapefruit and even honey. It is a great, light-bodied, dry cider that will leave you with a smile on your face. The other wines we were sent were all good, but I am partial to apple wines/cider so I was excited to try them and completely fell in love with the Eplevin Hopped Cider, and will be buying more bottles from Winc, after this in-home tasting experience.